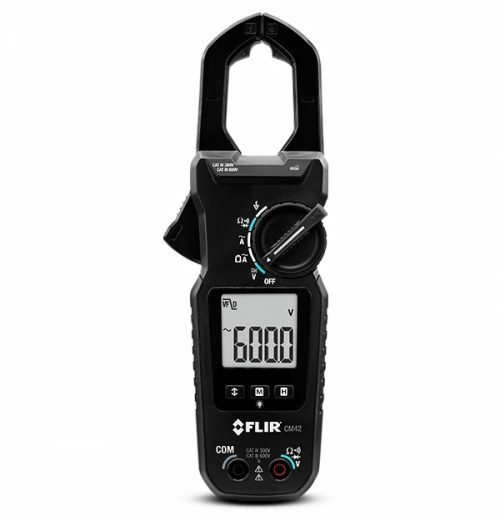 The FLIR CM57 is an ergonomic tool designed to simplify difficult current measurements. 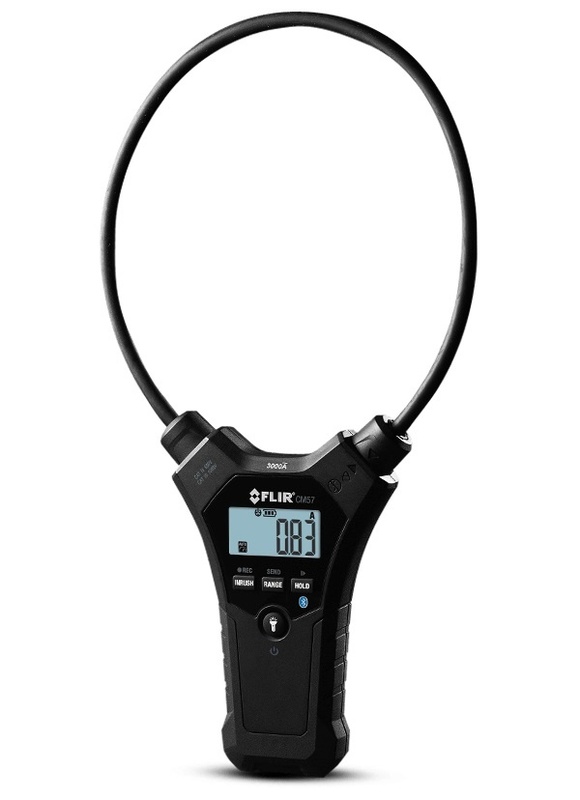 Made with a narrow, 18-inch (45.72 cm) flexible coil clamp, the CM57 lets you easily take measurements in tight or awkward spots. 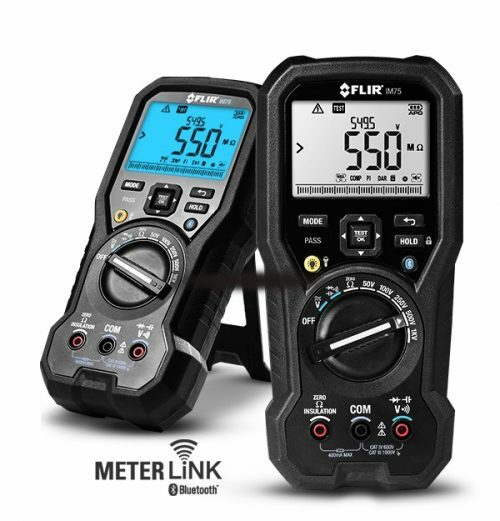 It is ideal for multiple-conductor measurements and double-wrap requirements. With Bluetooth communication for remote viewing and data transfer to iOS and Android devices via the FLIR Tools Mobile app, you can analyze and share data fast right from the job site. Snake the flexible coil clamp around obstacles with ease, even in deep, crowded cabinets. 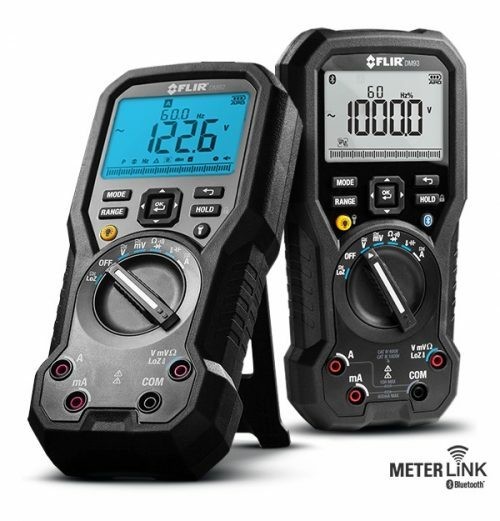 Made with bright, dual-LED worklights to illuminate dark cabinets, built to withstand a 3-meter drop, portable, lightweight, and tangle-firee, the CM55 and CM57 were designed with your convenience in mind without compromising measurement range. 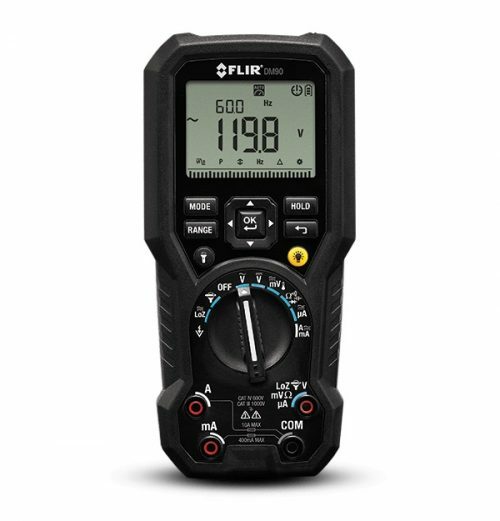 Made with bright, dual-LED worklights to illuminate dark cabinets, built to withstand a 3-meter drop, portable, lightweight, and tangle-firee, the CM55 and CM57 were designed with your convenience in mind without compromising measurement range. Transfer data to iOS and Android devices with FLIR Tools. Multiple units wirelessly connect for remote viewing of multiphase systems.